In the Cast Member Diaries Part One: From Guest to Cast Member, our epic saga began as I explained how I (on a whim) came to be employed at Walt Disney World and I told the tale up through my orientation and training. 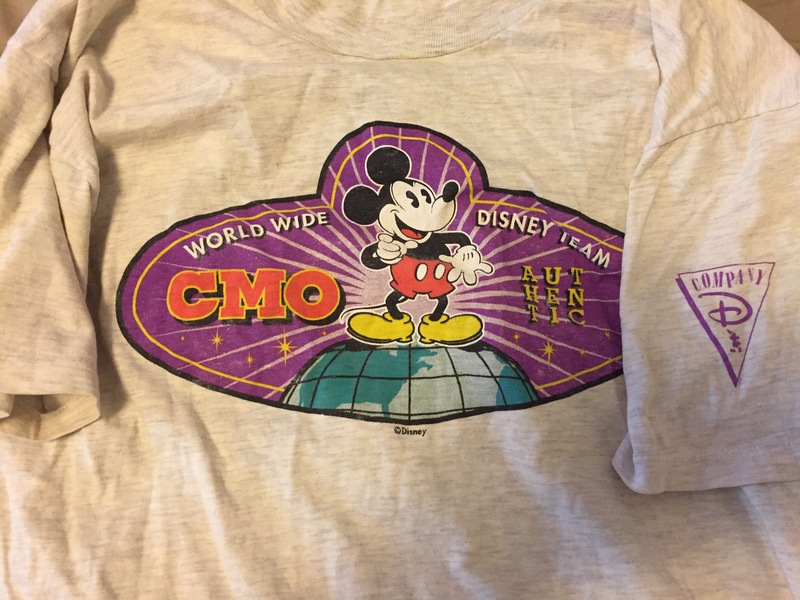 The adventure continued in the Cast Member Diaries Part Two: Spreading the Pixie Dust, in which I described what I did as an attractions host at the Disney/MGM Studios park and shared some anecdotes from my time there. Now our narration continues as I explain how it came to an end, and how the experience affected my life (in good ways and bad) since. I was hired in April of 1995, and once the busy summer season was in full swing I was generally getting a lot of hours, despite being part-time. Sometimes I would even be offered overtime. While the pay rate wasn’t amazing, I was doing OK in terms of what I would take home in my paycheck each week. Things were steady in April, started ramping up in May, and by June we were dealing with a staggering number of guests–a number that only got more insane in July and into August. As the end of summer approached, though, I was informed that soon I would be going back to a regular part-time schedule. This meant that, on average, I’d only be getting between six to sixteen hours per week. Fewer hours meant less money, and my significant other and I simply wouldn’t be making enough to stay in Florida. Without a clear idea of what to do next with our lives, my parents invited us to come stay with them in Massachusetts while we figured it out. So, just a few months after starting a job I had wanted since I was a kid, I had no choice but to put in my notice. I worked out my last couple of weeks, turned in my employee ID, and then that was it. I don’t know if things have changed there in the last two decades, but back then you could be a temporary cast member. This meant that you were still employed at Walt Disney World as long as you worked a certain number of days each year (like a week or two) during a busy season to maintain your temp status. Not being ready to completely give up, I opted to go this route rather than just quit outright, and the next year I returned to Walt Disney World to work for a week over February vacation. I crashed on a friend’s couch, and while I was there I tried to find a full-time job on property. As I had been in school for technical theatre, I focused on trying to get a position doing something along those lines, but unfortunately I had (at the time) very little actual experience doing anything technical theatre related. I don’t recall if I went back again or not, or if it was just that one time–the details have gotten a bit hazy over the years. I do remember that I had a meeting with someone at Magic Kingdom about a full time position once. I was directed to go to an administration section in the Utilidors, and if not for the lack of windows you’d never know that these offices were underground. Wooden walls, polished brass, glass, and carpeting made it look like any upscale office–very different from the cement corridors that I had taken to get there. I also had an interview at Disney/MGM Studios, but like the Magic Kingdom conversation this attempt also went nowhere. When I opted to not return again, and my temp status ended, my time as a Walt Disney World cast member was really over. Even though I wasn’t really there long, I consider my time as a Walt Disney World cast member to be a big part of my life. I value the experience that I gained while there. Some of it was just through the training and the day-to-day work, but it also let me shine in ways that I never had before. For example: we were short-staffed at Voyage of the Little Mermaid one day. This wouldn’t have been a big deal in itself, but some sort of thing had happened over at Tower of Terror (I never did find out what) and supervisors from multiple areas were sent to deal with that. It was a busy day, and things started running off the rails a bit, so I stepped up and took charge. I had no supervisory experience, but I just went with my gut and started telling the other cast members how we should handle the situation. They followed my lead. I slightly altered our normal rotation to account for the lower staff to put people where we needed them the most. Other cast members stepped up too, it was definitely a team effort, but I just sort of became the one running the situation and Mermaid kept going without a hitch. Later that day, when things had calmed down, a supervisor took me aside and I received a commendation for stepping up. It was really my first taste of leadership, and getting recognized for it (positively, no less!) was pretty exciting. When I put in my notice, that same supervisor admitted that he was sad to see me go, as he thought that I could someday easily work my way up to supervisor myself. That really stuck with me. It was a big confidence boost for a twenty-year-old kid with no clue what he wanted to do with his life. Working at Walt Disney World taught me skills that I’ve put to use ever since. I’ve held onto the high level of guest service that they instilled in me, and I have often demanded that same level when training employees as a manager in various settings since then. I’ve been disappointed when other managers don’t hold themselves to that level. In fact, recently a friend started their own business and had to deal with a customer service situation. They resolved it to both their and the customer’s satisfaction, and when they posted to Facebook about it they credited me with “teaching them how to provide customer service without freaking out”. I credit Walt Disney World with teaching me about guest service in the first place, and I guess I’ve passed some of what I learned there to others. Plus, there was just something special about being a part of the Disney magic. People from all over the world come to Walt Disney World expecting fun and pixie dust, and I was a small part of giving them that experience. One of the few souvenirs from my cast member days: a shirt from the exclusive-to-employees Company D store. It has a few small holes in it now (from an overzealous kitten), and I never actually wear it for fear of something else happening to it. A lot happened in the time since I left. I had a kid, got married, got divorced, and retained custody of said kid. There were moves from Massachusetts to Minnesota and back again. I bounced between various retail jobs and occasional bouts of unemployment. I (kind of accidentally) adopted a large dog–a samoyed named Stitch. Through it all, despite every choice and every reason to stay where I was at the time, I had this unstoppable longing to go back to work for Walt Disney World again. I really wanted to return to being a cast member. Admittedly, as time went on (and things often got tough at dead-end jobs) I started seeing the past through rose-colored glasses. Being a cast member went from “something that would be fun to do again” to some sort of mythical career goal and I became fairly convinced that it was the only thing I’d be truly happy doing for work. During this time, too, I wasn’t getting down to the parks much to even visit, so there was some definite “absence makes the heart grow fonder” action happening. Over the years, becoming a Walt Disney World cast member again grew into an obsession. If I got a retail job, I wondered if they had stores in Orlando so I could someday transfer down there (so I’d have a place to work while applying/interviewing to be a cast member). When taking a job I’d wonder if the skills I’d gain there would help me when I eventually went back to Disney. When I started getting tattoos, I made sure that they were all able to be covered up with long pants and a T-shirt, so they’d be hidden in just about any cast member costume. Even in writing blog posts I’ve been super careful to not say anything that could be misconstrued and somehow affect my chances to get hired at Disney. The goal has always been to go back, and just about everything I’ve done has been worked into that somehow. Even when I was trying not to think about it, things happened to remind me, like this weird moment in a retail job interview. The manager was looking over my work history and remarked on the fact that I had worked at Walt Disney World. This has impressed plenty of people before, so I wasn’t prepared for what he said next: he asked me if I liked working there, I admitted that I loved it, and his response was that this was a reason for him not to hire me. Basically, he explained, to him this meant that my “long-term potential” with his company was in question. Former cast members who loved the experience, in his mind, were much more likely to up and move back to work at Disney again. He had seen it happen before, and he wasn’t convinced that it wouldn’t happen again. At this point, going back to Disney was such a pipe dream that I didn’t even consider it a real possibility, so it was strange to get “called out” on my secret desire to do so. As much as I pined to go back, I had very compelling reasons to stay where I was and not run off to the Most Magical Place on Earth. I was depending heavily on my nearby parents to help with my daughter, so I wouldn’t want to lose that support by moving us away from them. I knew that Stitch, a dog bred for pulling sleds through snow, would hate living in the Florida heat. Plus, I simply didn’t have the means to pack up and start a new life somewhere else. So I told myself that someday I would go back to Walt Disney World and be a cast member again. I’d think more and more about how much fun I had being a Walt Disney World cast member and wish I was back there doing that again rather than whatever it was that I was actually doing (or not doing, if I were in one of my random bouts of unemployment). The worse things got, the more I would miss being a cast member, and even when things were better I’d still be planning to eventual return. I’ve been trying to figure out how to explain this near-constant desire to go back and be a cast member. I can see how, to some people, it mostly just sounds like whining about not getting to do something that I want to do. Plus, I don’t want it to sound like my life has been terrible since leaving Walt Disney World. I don’t regret any of the decisions that I’ve made, and while there’ve been some tough times I’m pretty happy overall with how things have turned out. I have a great family (I have since remarried), a good career, and my daughter and I had opportunities that probably wouldn’t have happened if I had packed up and moved back. Through a lot of it, though, I’ve often felt like… something’s missing. Like I’m just slightly incomplete. Especially when I was working a dead-end job (or not working at all) I’d really start to think that I’d be better off as a cast member. It’s not even necessarily Walt Disney World, either. Recently the whole plan has sort of shifted coasts. For a long time my goal has been to go back to Walt Disney World. I grew up going there and it’s where I had been a cast member already. Even though I had no real desire to live in Florida again, it’s where Walt Disney World is so it was where I wanted to go. After my wife and I took a trip to Disneyland last year, though, things sort of changed. We liked the Southern California area a lot better. In fact, the more I thought about it the more I thought I’d actually prefer working at Disneyland. There’s a sense of community there among the cast members and guests that I really liked, which I don’t feel is quite the same at Walt Disney World. I’d also still get better weather than I often have now (I really hate the cold and snow, which makes living in Massachusetts uncomfortable for a few months every year). There’s a part of me that will always love Walt Disney World and will always want to go back there, but it’s apparently just the concept of being a Disney cast member, at either park, which has captivated me–I’ve become just as obsessed with that relatively recent idea of moving to California to work at Disneyland. Either way, though, it’s still just a dream that I talk about but have no real plan to follow through on. Yet. I don’t even know if there’s a coherent way to describe it, really, other than to say that I’ve always felt like I “belonged” there (even if the “there” has changed). So where are we now? Well, my daughter is in college and as such I don’t actually see her too much. Stitch has (sadly) passed away. With these two major factors no longer being major factors, you’d think I’d already be on my way. However, as usual, things are rarely that simple. My wife is none too keen on the idea of packing up and moving someplace new, for a variety of reasons, so that’s been a thing. We both knew going in that she didn’t want to move and I had every intention of doing so someday, and it’s been a minor point of contention in an otherwise very happy marriage, but it has caused me to rethink my plans. I do want her to be happy, so if not dropping everything to chase an obsession is the key to that, then I’m willing to hold off a bit (and I’m not just saying that because she edits this blog). Though I’m sure that I do drive her crazy by talking about it incessantly. At the same time, she knows that it’s something that I really do want to do, so the discussion is sort of an ongoing thing. I also have a career that I really enjoy–working as a theatrical technician–and it’s only been getting better. Like, good enough to possibly warrant sticking around the Boston area a lot longer. [Fingers crossed! —editor/wife] Of course, I’m also fully aware of the fact that due to my current career path I finally have a solid set of skills that would serve me well in getting a good job at a Disney park. This means that, if I were to ever go back, I would apply to be a theatrical technician there and hopefully combine what I love doing here with being a cast member there. Even if one of my (now not so) secret dreams is to actually be a Jungle Cruise skipper. I can stand back, rationally, and know it wouldn’t be all pixie dust and fairies. It would be hard work. There’d be bad days, and some days it would be a grind like any other job. I’m well aware that this magical image that I’ve worked up in my head over the years is going to be very different from reality. I can also point to all of the very valid reasons as to why moving across the country would be a questionable choice. I may not see my daughter much now, but she’s still not far away so we do see each other sometimes. I’ve got friends and a community here that has been built up over several years, as does my wife. We’re half a day’s drive from her family, and about a half hour from mine. We have a life here and it would be hard to give that up just to chase a dream. In reality, the only thing that a big move really has going for it is the fact that I’d (hopefully) end up working for Disney again. Funny thing about obsessions, though… reality doesn’t generally figure in. To this day I’m still pining to be a cast member, but I’m also not dropping everything and rushing back (even if I do sometimes research places to live in the Southern California area). My wife and I do semi-seriously talk about it now and again, and we’re not saying that it won’t ever happen, but we also want to make sure that it’s the right thing to do before moving across the country. There are a lot of logistics to work out, and we’d want to be sure that they were all properly addressed. There is this small part of me, though, that’s afraid that it might never happen, and I often have a hard time reconciling that. I also know that I could very well end up working at a Disney park again someday, and that possibility is pretty exciting. Of course, if it ever did happen, I’d most likely have to stop blogging. Conflict of interest and all. That would be sad. Though I suppose I could then wrap things up with one final epic entry in this series: my triumphant return to cast member-dom. The idea of going back and working at a Disney park is in the background of my brain pretty much all the time, and it has been ever since I left over two decades ago. At this point in time, though, it’s still just a wish and there are no plans to make it a reality. At least not yet, anyway.